Home / coffee / Food / Nacho King / Starbucks / Nacho and Coffee? 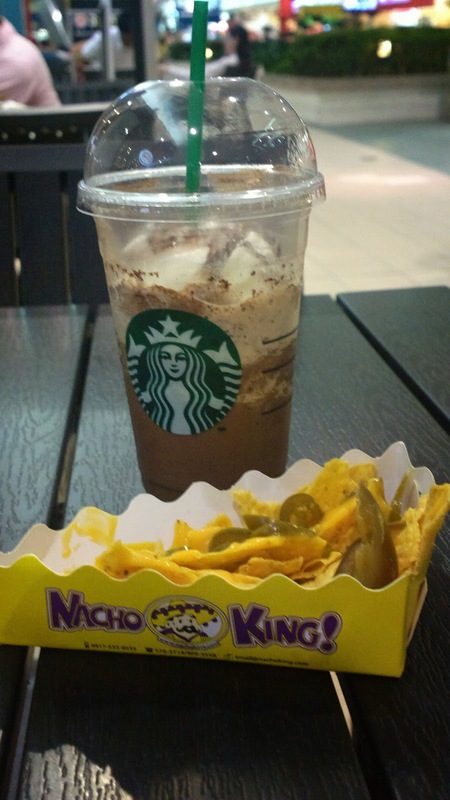 Didn’t know nachos is a good match with coffee or at least Starbucks and Nacho King in this post. Both of them should be devoured err… consumed soon as served. As for Nacho King, it’s the largest Filipino-Mexican kiosk and food cart operator of Tex-Mex foods in the Philippines. See www.nachoking.com.